The NVIDIA Visual Profiler is a cross-platform performance profiling tool that delivers developers vital feedback for optimizing CUDA C/C++ applications. First introduced in 2008, Visual Profiler supports all 350 million+ CUDA capable NVIDIA GPUs shipped since 2006 on Linux, Mac OS X, and Windows. The NVIDIA Visual Profiler is available as part of the CUDA Toolkit. View CUDA activity occurring on both CPU and GPU in a unified time line, including CUDA API calls, memory transfers and CUDA launches. Gain low-level insights by looking at performance metrics collected directly from GPU hardware counters and software instrumentation. View timeline for applications that use CUDA Dynamic Parallelism including both host-launched and device-launched kernels and the parent-child relationship between kernels. Use the guided analysis mode has to get step-by-step analysis and optimization guidance. The analysis results now include graphical visualizations to more clearly indicate the optimization opportunities. The latest version of Visual Profiler with support for both CUDA C/C++ applications is available with the CUDA Toolkit and is supported on all platforms supported by the CUDA Toolkit. 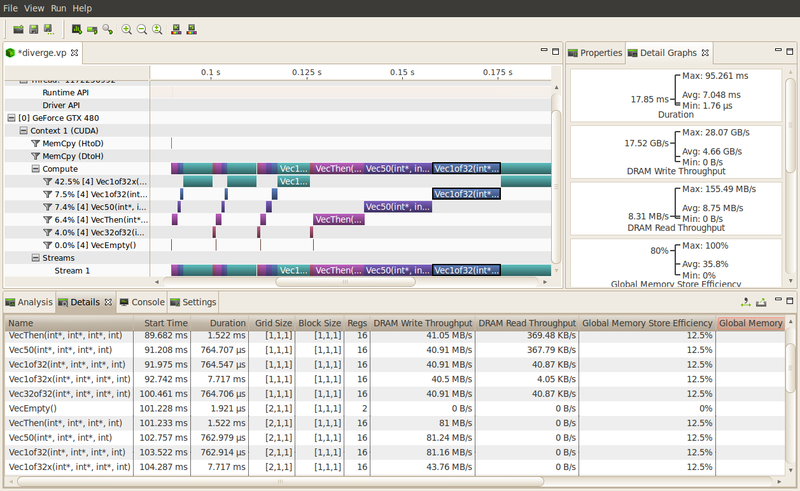 Developers should be sure to check out NVIDIA Nsight for integrated debugging and profiling. 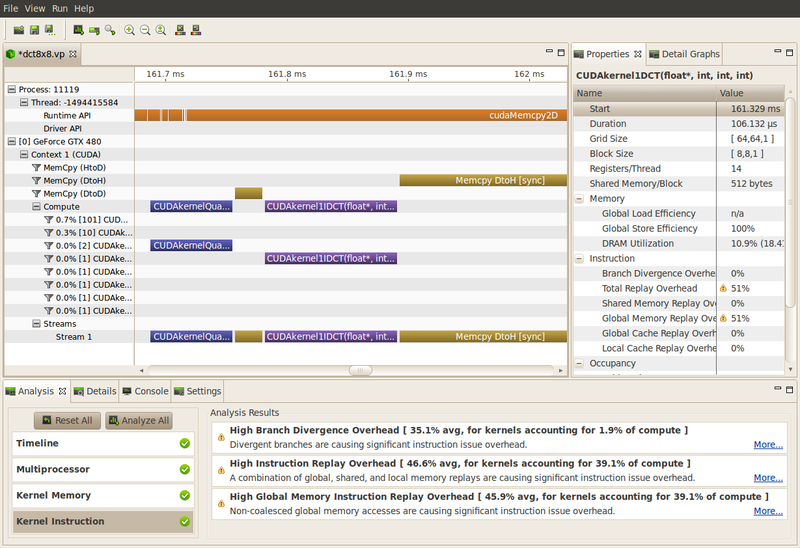 Nsight Eclipse Edition for Linux and MAC support, and Nsight Visual Studio Edition for Windows. If you encounter difficulty with any of the CUDA Tools or have more questions please contact the NVIDIA tools team at (cudatools@nvidia.com).